With Silicon Valley and the European market becoming more and more competitive, it’s becoming harder to get your startup to stand out from the crowd. But South Korea just might be the ticket for any fledging startup looking for a competitive edge. Why, you ask? Read on. 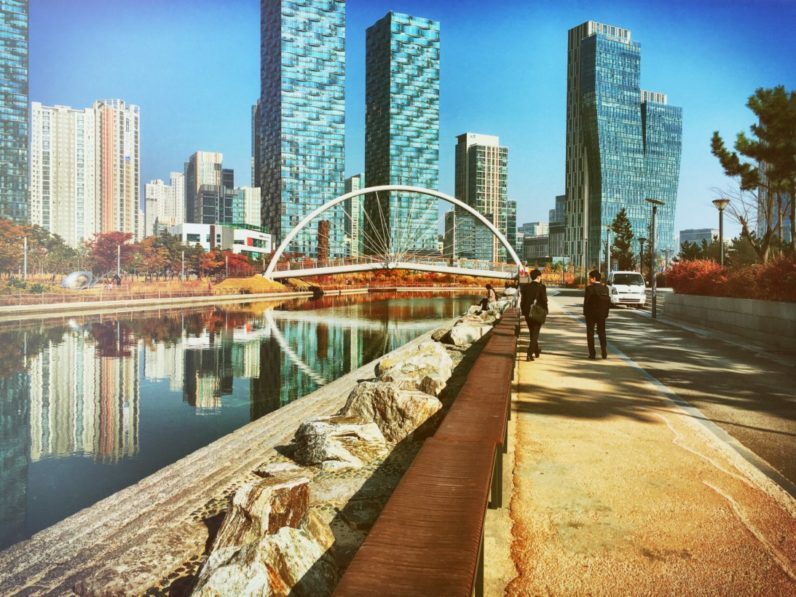 Governmental policies in South Korea are designed to encourage tech startups to flourish. The government actively encourages young entrepreneurship through the introduction of a so-called “creative economy”. This has paid off: South Korea is now a world leader in patent activity, as strong intellectual property laws in the country protect new ideas. On top of that, the government is investing $3.7 billion into fledging startups through grants and investment initiatives over the next three years. One of the most enticing initiatives is the K-Startup Challenge, an accelerator program run by the South Korean government. It’s a 4-month, all-expenses-paid (housing, office, daily allowance and travel) program to give companies a boost into the Asian market. The program is distributing a total of $1.5 million for no equity in return – literally free money for the brightest and best startups willing to do business in the country. This Challenge also offers mentoring and one-to-one support, plus connections to potential investors and advice on patents and how to grow on the Asian market. South Korean capital Seoul has a population of around 25 million people, representing around half of the country’s total population. This population density makes the country’s market ripe for the rapid spread of new technology. Koreans are known to be early adopters, keeping up to date with the latest tech. South Korea’s proximity to Asian markets makes it a perfect location to establish foothold in the region. Around 60 percent of the world’s population lives in Asia, with Southeast Asia growing faster than Brazil, Russia and India, providing a huge market with an appetite for growth. The conditions are perfect to cement a business which serves the demands of this huge population. As the country enjoys rapid economic growth, it has a high level of upward social mobility. South Korea has the highest level of credit card penetration in the world. The average person has five credit cards, compared to an average of two in the USA. This increases the Korean consumer’s purchasing power, making it the perfect breeding ground for tech startups. South Korea has the highest levels of broadband penetration in the world. 97 Percent of the population have access to broadband and 95 percent of the country is covered with Wi-Fi coverage. As a result, the country has some of the fastest internet connections on the planet, with a peak connection speed of 50 megabits per second. The South Korean consumer market has already adopted mobile commerce, unlike Europe and the US, where adoption rates have been much slower. In South Korea, 80 percent of the population own smartphones and 44 percent of the population use them for shopping. Mobile sales make up 28 percent of total online sales in the country, making South Korea one of the world leaders in mobile commerce. The population are very social media centric. With the costs of smartphones plummeting and mobile penetration rising, more and more people are getting online via smartphones. The population is very active on social media, giving startups a direct platform to establish a brand and interact and engage with users. The conditions in Asia are like Silicon Valley 10 years ago, back when today’s tech giants were millionaires, not billionaires. Governments are offering glittering incentives to get startups to the region. Now is the time to capitalize on these incentives; to tap into this gold mine of potential and use South Korea as a foothold to cement your startup in the flourishing Asian market. If you’re interested in scaling your company to Asia, South Korea is the place to start. Make sure check out their attractive incentives, like the K-Startup Grand Challenge (the all expenses paid acceleration program) which you can apply for here.